Short codes, or short numbers, are short digit sequences, significantly shorter than telephone numbers, that are used to address messages in the Multimedia Messaging System (MMS) and short message service (SMS) systems of mobile network operators. In addition to messaging, they may be used in abbreviated dialing. SMS short code service is essentially used for generating leads and for receiving customer feedback. In a shared short code environment, every company that is desirous to avail the service will be given a keyword. This keyword is a unique identifier on the shared short code. For instance, if your company’s name is XYZ Ltd. and you choose a keyword like XYZL on the 56767 short code or 56161 short code. 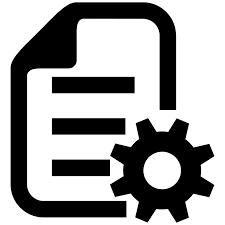 This can be manage very easily, not very deep technical knowledge required for management. So it’s very user friendly platform. Dedicated Short Code SMS Service: With this service you can order for dedicated short code service for your business. 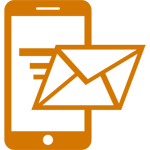 We will provide you 5 digit text message short code number, Which works for your applications only. No other services are shared on it. You can create unlimited short code messages keywords and design unlimited applications on it. Example: Send “TG ” on 56677. 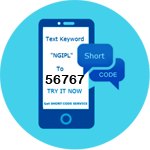 Shared Short Code SMS Service: With this service you can order for a keyword on common short code service for your business. We will provide you 5 digit mobile number and a keyword on it, which works for your applications only. 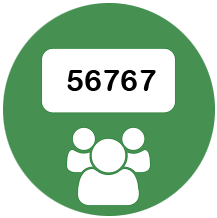 As it is shared number other user may also use this short code number for their businesses. Example: Send “TG ” on 56677.